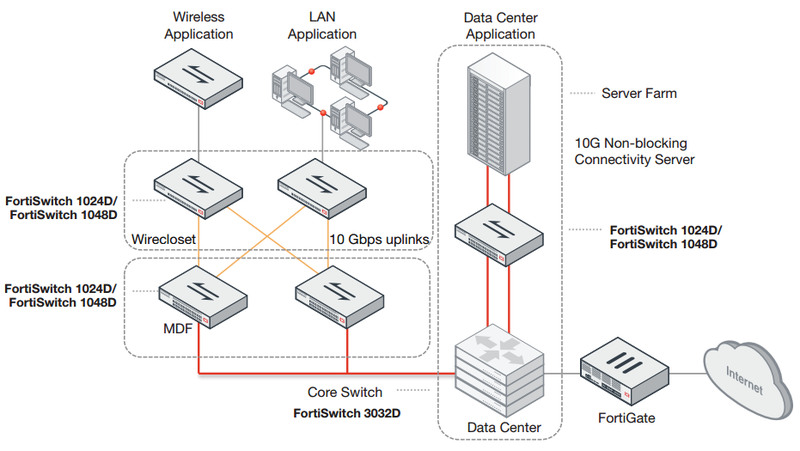 FortiSwitch Data Center switches deliver outstanding throughput, resiliency and scalability for organizations with high performance data center network requirements. They are ideal for Top of Rack server or firewall aggregation applications, as well as enterprise network core or edge deployments, where high performance 10 GE and 40 GE is required. Purpose-built to meet needs of today’s bandwidth intensive data centers and enterprise networks, FortiSwitch Data Center Switches deliver highperformance with a low Total Cost of Ownership.